Estrogen in women is a gift that just keeps giving. I do not need to tell you that diabetes is in epidemic proportion in Australia as well. Endocr Rev. 2017 Jun 1;38(3):173-188. doi: 10.1210/er.2016-1146. Menopausal Hormone Therapy and Type 2 Diabetes Prevention: Evidence, Mechanisms, and Clinical Implications. Mauvais-Jarvis F1, Manson JE2,3, Stevenson JC4, Fonseca VA1. Department of Medicine, Division of Endocrinology and Metabolism, School of Medicine, Tulane University Health Sciences Center, New Orleans, Louisiana 70112. Department of Medicine, Brigham and Women’s Hospital, Harvard Medical School, Boston, Massachusetts 02115. Department of Epidemiology, Harvard T. H. Chan School of Public Health, Boston, Massachusetts 02115. National Heart and Lung Institute, Imperial College London, Royal Brompton Hospital, London SW3 6NP, United Kingdom. Type 2 diabetes has reached epidemic proportions in the United States. Large, randomized controlled trials suggest that menopausal hormone therapy (MHT) delays the onset of type 2 diabetes in women. However, the mechanisms and clinical implications of this association are still a matter of controversy. This review provides an up-to-date analysis and integration of epidemiological, clinical, and basic studies, and proposes a mechanistic explanation for the effect of menopause and MHT on type 2 diabetes development and prevention. We discuss the beneficial effects of endogenous estradiol with respect to insulin secretion, insulin sensitivity, and glucose effectiveness; we also discuss energy expenditure and adipose distribution, both of which are affected by menopause and improved by MHT, which thereby decreases the incidence of type 2 diabetes. We reconcile differences among studies that investigated the effect of menopause and MHT formulations on type 2 diabetes. We argue that discrepancies arise from physiological differences in methods used to assess glucose homeostasis, ranging from clinical indices of insulin sensitivity to steady-state methods to assess insulin action. We also discuss the influence of the route of estrogen administration and the addition of progestogens. We conclude that, although MHT is neither approved nor appropriate for the prevention of type 2 diabetes due to its complex balance of risks and benefits, it should not be withheld from women with increased risk of type 2 diabetes who seek treatment for menopausal symptoms. Postmenopausal hormone therapy and the risk of colorectal cancer: a review and meta-analysis. One of the many benefits of estrogen to women is that it reduces the risk of getting bowel cancer by about 30%. Am J Med. 1999 May;106(5):574-82. Grodstein F1, Newcomb PA, Stampfer MJ. Department of Medicine, Brigham and Women’s Hospital, Harvard Medical School, Boston, Massachusetts 02115, USA. Colorectal cancer is the fourth most common cancer and the second leading cause of cancer death in the United States. Accumulating evidence indicates that postmenopausal hormone therapy may reduce the risk of colorectal cancer in women. Through MEDLINE computer searches (January 1966 to September 1998) and a review of references, we identified English-language articles with quantitative data on the relation of postmenopausal hormone therapy to colorectal cancer. We reviewed the studies and made summary estimates of relative risks (RR) by weighting the results of each study in proportion to its precision, using a general variance-based, fixed-effects model. In our meta-analysis of 18 epidemiologic studies of postmenopausal hormone therapy and colorectal cancer, we found a 20% reduction [RR = 0.80, 95% confidence interval (CI), 0.74 to 0.86] in risk of colon cancer and a 19% decrease (RR = 0.81, 95% CI, 0.72 to 0.92) in the risk of rectal cancer for postmenopausal women who had ever taken hormone therapy compared with women who never used hormones. Much of the apparent reduction in colorectal cancer was limited to current hormone users (RR = 0.66, 95% CI, 0.59 to 0.74). Comments Off on Postmenopausal hormone therapy and the risk of colorectal cancer: a review and meta-analysis. •Menopausal hormone therapy should not be prescribed for the sole purpose of improving cognition. 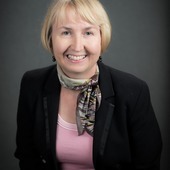 •Midlife women should be advised that memory complaints are common during the menopausal transition and memory problems appear to return to baseline during the postmenopausal period. •Midlife women should be advised that dementia is rare at this age and referral to a neurologist should only be recommended if memory problems significantly disrupt daily function. •Women should be advised to practice healthy sleep habits and engage in cardiovascular exercise to improve memory. Midlife women frequently report memory problems during the menopausal transition. Recent studies validate those complaints by showing significant correlations between memory complaints and performance on validated memory tasks. Longitudinal studies demonstrate modest declines in verbal memory during the menopausal transition and a likely rebound during the postmenopausal stage. Clinical studies that examine changes in memory following hormonal withdrawal and add-back hormone therapy (HT) demonstrate that estradiol plays a critical role in memory. Although memory changes are frequently attributed to menopausal symptoms, studies show that the memory problems occur during the transition even after controlling for menopausal symptoms. It is well established that self-reported vasomotor symptoms (VMS) are unrelated to objective memory performance. However, emerging evidence suggests that objectively measured VMS significantly correlate with memory performance, brain activity during rest, and white matter hyperintensities. This evidence raises important questions about whether VMS and VMS treatments might affect memory during the menopausal transition. Unfortunately, there are no clinical trials to inform our understanding of how HT affects both memory and objectively measured VMS in women in whom HT is indicated for treatment of moderate to severe VMS. In clinical practice, it is helpful to normalize memory complaints, to note that evidence suggests that memory problems are temporary, and to counsel women with significant VMS that memory might improve with treatment. 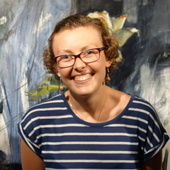 Claire M O’Connor receives funding from an Alzheimer’s Association Dementia Research Foundation PhD Scholarship and the Mary Frances Stephens Scholarship from the Faculty of Health Sciences at the University of Sydney. 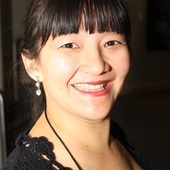 Lee-Fay Low receives funding from the NHMRC, and aged care organisations. 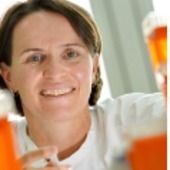 She has previously received funding from Alzheimer’s Australia, the Department of Health and Ageing and NSW Health. 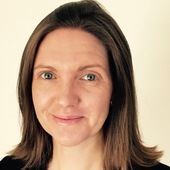 Karen Dwyer does not work for, consult, own shares in or receive funding from any company or organisation that would benefit from this article, and has disclosed no relevant affiliations beyond the academic appointment above. 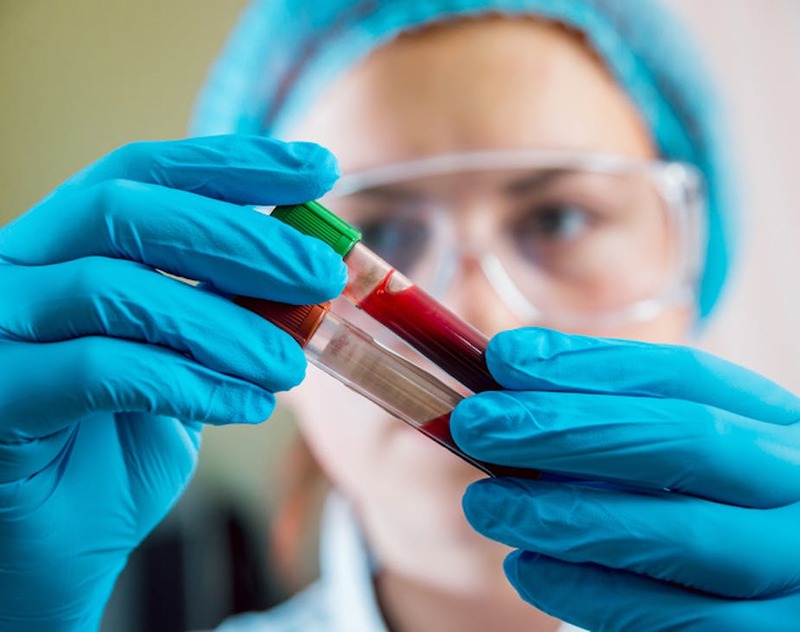 This week we’re running a series in collaboration with the Australian Red Cross Blood Service looking at blood: what it actually does, why we need it, and what happens when something goes wrong. Read other articles in the series here. Doctors have continually sought better ways of determining what is wrong with a patient. When you visit a GP’s office or emergency department with an unknown illness, a doctor will commonly draw some blood to gain a better idea of what’s going on inside your body. Blood is perhaps the most important window through which we can peer into a person’s health or illness. About 7% of our body weight is our blood, and our heart spits out about five litres of blood every minute. Oxygenated blood leaves the left side of the heart via the aorta and the arteries – which permeate every tissue in the body – and returns to the right side of the heart via the veins. From the right side of the heart, blood is pumped into the lungs where it is oxygenated, returning to the left side of the heart. In about two tablespoons of blood there’s a lot we can tell about our health. When someone presents at an emergency department, the initial panel of tests will include a full blood count. This details the red blood cell count, white blood cell count and platelets; electrolytes (the substance in our blood that carries an electric charge that is vital for life) to measure kidney function; liver function tests and “C-reactive protein” which can tell us if there is inflammation somewhere in the body. From these tests we can determine things like the presence of anaemia (low red blood cells from various causes), infection, kidney failure and liver disease. Often the results of these tests will trigger further testing. For example, the presence of anaemia will usually lead to testing for iron deficiency, possibly vitamin B12 and folate, screening for haemolysis (destruction of red blood cells) and a measure of how well the bone marrow, which makes red blood cells, is responding. If infection is suspected, blood will be drawn and transferred into a bottle that enables bacteria to grow. Bacteria in the blood is called septicaemia. The identification of the bacteria responsible significantly helps in the management, meaning the right antibiotics can be delivered to the patient. Bruising or excessive bleeding will prompt assessment of platelets and clotting. Platelets are the first responders to injury, and if they are low or not functioning properly, they will allow bleeding to proceed unchecked. To tell if blood is clotting normally we need an additional teaspoon of blood. These clotting factors are synthesised in the liver, so they can also give us a warning about liver disease. As a kidney specialist, my personal favourite are the electrolytes. Together with a urine test, blood electrolytes can measure someone’s kidney disease from stage one through to five. As kidney function declines, potassium levels increase in the blood and can reach dangerous levels. A high potassium count can cause a potentially fatal heart arrhythmia. Liver function tests provide information on what the liver is producing and excreting – abnormalities of liver function could mean gall stones or hepatitis. Viral causes of hepatitis, such as Hepatitis B and C, can quickly be checked in the blood. We can also find out how recently the infection was acquired and whether chronic infection persists. Cardiac enzymes in the blood tell us if a patient has had a heart attack. The enzymes are proteins released from damaged heart muscle, so the higher the level, the greater the damage to the heart. 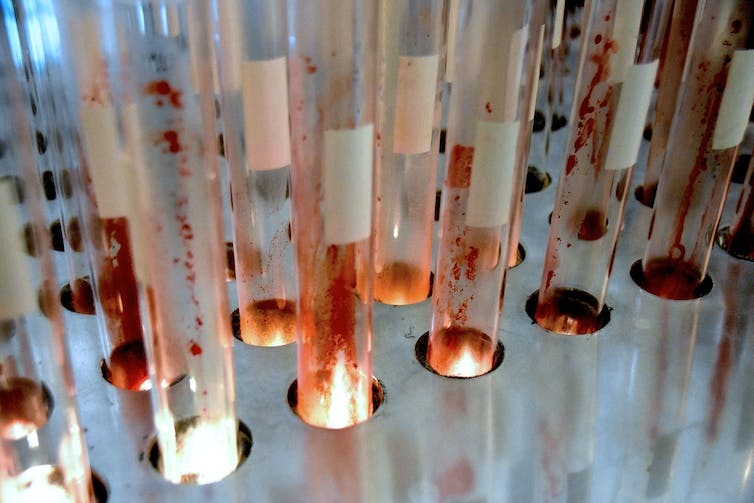 What can’t blood tell us? The repertoire of blood tests available to the treating doctor is vast. 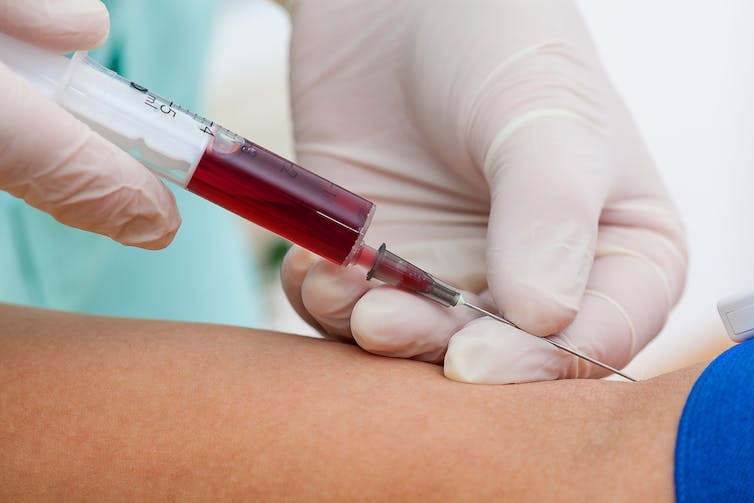 Other blood tests include screening for autoimmune disease, monitoring the response of cancers to treatment with tumour markers, assessing reproductive function, screening for genetic disorders during pregnancy and diagnosing pregnancy itself. Despite this, sometimes a diagnosis remains elusive – frustrating for the patient and doctor alike. Neurological disease such as stroke, motor neurone disease, Alzheimer’s and multiple sclerosis aren’t diagnosable from blood tests. Similarly, the diagnoses of depression, schizophrenia, ADHD and autism lack a specific blood diagnostic marker. Comments Off on Blood tests and diagnosing illness: what can blood tell us about what’s happening in our body? The guideline for those at high risk of heart disease, published Monday in a draft report from the United States Preventive Services Task Force, is the first time a major American medical organization has issued a broad recommendation to take aspirin to prevent a form of cancer. The move follows a growing body of evidence that suggests that aspirin may be a potent yet overlooked weapon in the war against colorectal cancer. Even so, the draft guidelines are drawing criticism from some experts who worry that healthy people who take aspirin also expose themselves to its very serious side effects, including stomach bleeds and hemorrhagic strokes or brain bleeds. Others say there are far better proven ways to prevent heart attacks and thwart colon cancer, such as cholesterol-and blood-pressure-lowering drugs to reduce heart risk and screening colonoscopy to identify precancerous polyps. But the task force, an independent panel of experts in prevention and primary care appointed by the Department of Health and Human Services, wields enormous influence. The panel’s recommendations on things like mammograms and prostate cancer screening have changed the way doctors practice medicine in the United States. Nearly 40 percent of American adults older than 50 use aspirin for primary or secondary prevention of cardiovascular disease, a number likely to increase if the recommendations are finalized. In its latest report, the task force found that taking low-dose aspirin can help prevent heart attacks, stroke and colorectal cancer, and that the benefits outweighed the risks in adults ages 50 to 69 who are at high risk for heart disease. The biggest benefit was seen in high-risk people in their 50s. The recommendation is weaker for high-risk adults 60 to 69, because the risk of harmful bleeds increases with age. A high-risk cardiovascular patient is defined as someone who has a 10 percent or greater risk of having a heart attack during the next 10 years, something that can be determined using the National Heart, Lung, and Blood Institute’s online risk assessment tool. There is no recommendation for aspirin use for people younger than 50 or for those 70 and older. The new guidelines warn patients to consult their doctors and assess their individual risk for bleeding complications before starting an aspirin regimen. But some top experts questioned whether the evidence was sufficient to justify such a sweeping recommendation, saying more widespread use of aspirin could do more harm than good. 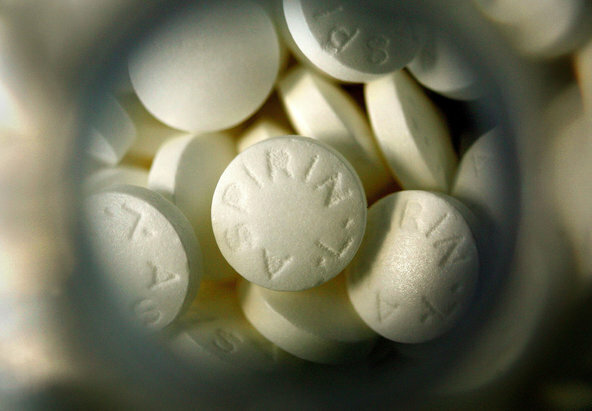 Already millions of people “take aspirin who shouldn’t,” said Dr. Steven Nissen, the chairman of cardiology at the Cleveland Clinic, who was part of a recent Food and Drug Administration review that concluded aspirin should not be used to prevent a first heart attack or stroke. 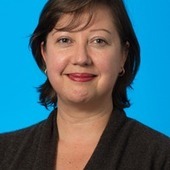 Dr. Kirsten Bibbins-Domingo, the task force’s vice chairwoman, said the benefits of aspirin therapy were strongest for people who had a history of heart attack. The challenge is weighing the risks and benefits of daily aspirin for healthy adults “who have no other signs and symptoms but have multiple risk factors that put them at risk” for cardiovascular disease, she said. “These things are what make the decision to take aspirin complex,” Dr. Bibbins-Domingo said. Cardiovascular disease and cancer are the leading causes of death for American adults, with heart attacks and stroke causing 30 percent of deaths. Colorectal cancer is the third most common cancer in the United States, causing about 50,000 deaths last year. The task force based its recommendations on a series of evidence reviews it commissioned. One review found that when aspirin was taken to prevent a first heart attack, it reduced heart attacks by 22 percent and cut the overall death rate by 6 percent, but did not reduce strokes or deaths from cardiovascular causes. Another data analysis found a reduction in strokes. A separate analysis on colorectal cancer found aspirin use cut colorectal cancer deaths by 33 percent and reduced colon cancer incidence by 40 percent. People needed to take aspirin at least five to 10 years to have the protection. A third analysis focused on the risks of daily aspirin and found that aspirin use increased stomach bleeds by about two-thirds, and may increase the very rare risk for hemorrhagic stroke. The analysis estimated that the use of low-dose aspirin according to the new guidelines could result in up to two bleeding adverse events per 1,000 people over the course of a year. The task force noted that more research was needed to determine how aspirin interacted with a number of widely used medications like cholesterol-lowering statins and proton pump inhibitors. Although aspirin therapy already is suggested for certain patients with a genetic risk for colorectal cancer, some colon cancer experts expressed reservations about the new guideline. Dr. David Johnson, who serves on the United States Multi-Society Task Force on Colorectal Cancer, said he was concerned patients taking low-dose aspirin would forgo critical lifesaving colonoscopies. But officials with the American Heart Association and the American Cancer Society praised the new recommendation. “The task force did an outstanding job,” said Dr. Mark Creager, the president and chief voluntary scientific and medical officer of the American Heart Association, adding the position was consistent with his organization’s guidance. Dr. Eric Jacobs of the American Cancer Society said that there was also good evidence that aspirin may lower the risk of esophageal cancer, and fairly good evidence it lowers stomach cancer risk. There is even some evidence it may slightly lower the risk of common cancers such as breast, prostate and lung cancer, though that evidence is too weak to draw conclusions. What’s actually in our blood? Caboolture has a lovely library and Art Gallery, at the Hub, which is in the centre of town, one block away from where i work at the medical centre. At present the Brett Whitely exhibition is on (free) and i can recommend it to all those interested in art. I suggest that you pop in after your visit to me and spend some time there. Well worth it. Details below. Denese Marks receives funding from the Australian and New Zealand Society of Blood Transfusion, Defence Health Foundation and MacoPharma Pty Ltd. Australian governments fund the Australian Red Cross Blood Service for the provision of blood, blood products and services to the Australian community. 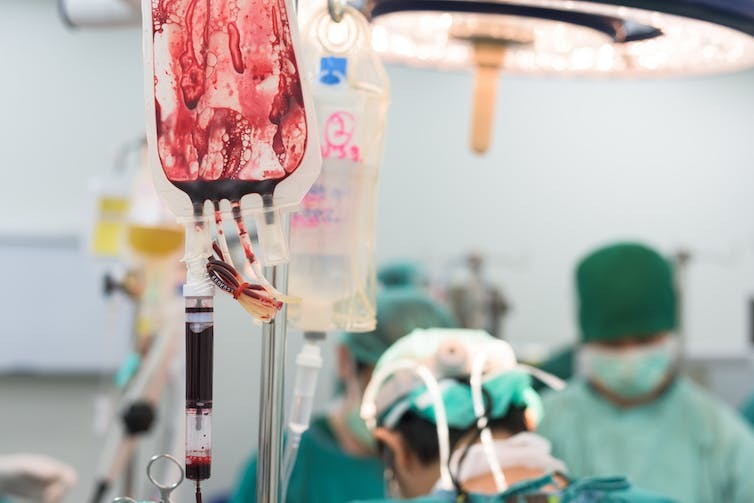 This week we’re running a series in collaboration with the Australian Red Cross Blood Service looking at blood: what it actually does, why we need it, and what happens when something goes wrong with the fluid that gives us life. Read other articles in the series here. Blood is vitally important for our body. As it’s pumped around our body through veins and arteries, it transports oxygen from our lungs to all of the other organs, tissues and cells that need it. Blood also removes waste products from our organs and tissues, taking them to the liver and kidneys, where they’re removed from the body. 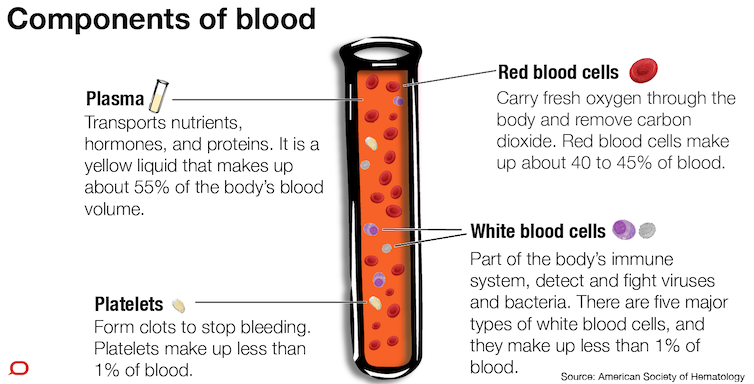 About 45% of our blood consists of different types of cells and the other 55% is plasma, a pale yellow fluid. Blood transports nutrients, hormones, proteins, vitamins and minerals around our body, suspended in the plasma. They provide energy to our cells and also signal for growth and tissue repair. The average adult has about five litres of blood. The different types of blood cells include red blood cells, platelets, and white blood cells, and these are produced in the bone marrow, in the centre of our bones. Red blood cells are essential for transporting oxygen around the body. Red cells are very small, donut-shaped cells with an average lifespan of 120 days within the body. They contain a protein called haemoglobin, which contains iron and binds very strongly to oxygen, giving blood its red colour. Red cells are flexible and able to squeeze through even the tiniest of our blood vessels, called capillaries, to deliver oxygen to all of the cells in our body. When the red cells reach our organs and tissues, haemoglobin releases the oxygen. Platelets are even smaller than red blood cells. In fact, they are tiny fragments of another much larger type of cell, called a megakaryocyte, which is located in the bone marrow. Platelets are formed by budding off from the megakaryocyte. Platelets have an average lifespan of eight to 10 days within the body, so they are constantly being produced. When body tissue is damaged, chemicals are released that attract platelets. Platelets clump together and stick to the damaged tissue, which starts to form a clot to stop bleeding. Many of the proteins that help the clot to form are contained in plasma. Platelets also release growth factors that help with tissue healing. Blood also carries white blood cells, which are an essential part of our immune system. Some white cells are able to kill micro-organisms by engulfing and ingesting them. Other types of white cells, called lymphocytes, release antibodies that help to fight infection. Blood cells don’t act alone; they work together for normal body function. For example, when we cut our skin, platelets help plug the cut to stop it bleeding, plasma delivers nutrients and clotting proteins, white cells help to prevent the cut from becoming infected, and red cells deliver oxygen to help keep the skin tissue healthy. Sometimes patients who are having surgery, cancer treatment or when they are seriously injured need a blood transfusion. This is usually because they have lost a lot of platelets, red cells or plasma, or because their cancer treatment has killed many of their blood cells. In Australia, blood is donated by voluntary blood donors at the Australian Red Cross Blood Service. A typical whole blood donation is just over 450 mL, and it takes around ten minutes to collect. Every time a donation is made, the donor is screened for infectious diseases such as hepatitis and HIV, so these aren’t transferred to the patient receiving the blood. Comments Off on What’s actually in our blood? Even Doctors get the Flu! I have been in bed for the past week with the flu – in spite of having had the flu needle in April. This in my first bout in 30 years, and not pleasant. I think all doctors should get the flu now and then just so that they can appreciate what their patients have to go through. I apologize, for those of you who have been inconvenienced, and emails not replied to, but as they say, I hope normal services will resume soon. Comments Off on Even Doctors get the Flu!